With next year’s 2015 season being the 45th that I hope to enjoy as a fan of the Fightin’ Phils, I’ve decided to take on a Phillies history project moving forward. Once a week, I’ll be presenting a short biography of an interesting figure from the Philadelphia Phillies long and storied past. This might be a player, a coach or manager, a team executive, a broadcaster, maybe even the occasional fan. To kick things off, we’ll start with someone who not only has nostalgic interest to me personally, but also someone who the majority of today’s Phillies fans are familiar with: Greg “the Bull” Luzinski. If you were born in the early-1970’s or beyond, your memories of ‘the Bull’ as an active ballplayer are likely few or none at all. 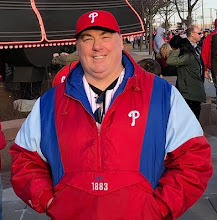 But many of today’s younger generation of fans know him from “Bull’s BBQ”, the popular food joint out in right field adjoining Ashburn Alley at Citizens Bank Park. 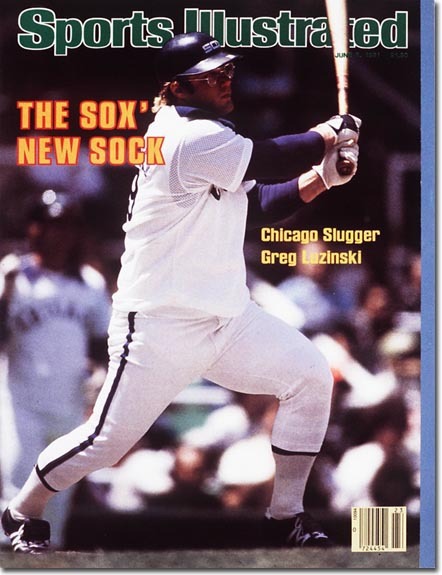 Luzinski is a Windy City native, born in Chicago on November 22nd, 1950. He became a slugging high school star at Notre Dame College Prep in Niles, Illinois, and the Phillies made him their 1st round selection, 11th overall, in the 1968 MLB Draft. At age 17, Luzinski headed for Huron in the Northern League, where he belted 13 homers in his first 212 professional at-bats. The following season he was moved up to the High-A Carolina League, where at Raleigh-Durham he crushed 31 homers and had 92 rbi. With the big league club struggling in the final years of Connie Mack Stadium, speculation was quickly rising as to how fast the kid masher would reach Philly. The talk grew louder when he moved to AA Reading in 1970 and, at age 19, he hit .325 while powering 33 homers and driving in 120 runs. It was then, at the tail end of the 1970 season, in the final month of the club’s stay at old Connie Mack, that Luzinski got the call. It would prove to be an inauspicious debut. Wearing uniform #42, Luzinski recorded just a pair of hits in a dozen at-bats spread across 8 games, appearing mostly as a pinch-hitter or at 1st base. 1971 found the Phillies opening Veteran’s Stadium in South Philly. It also found Luzinski back in the minors. He would spend most of the year at AAA Eugene, again tuning up minor league pitching. At age 20, the young slugger crushed 36 homers, drove in 114 runs, and hit .312. As the 1971 season wound down, Luzinski again got the call to the parent club. This time it would be for good. Donning what would become his familiar #19, he again played solely at 1st base. Thickly built and possessing no speed, the Phillies were not sure that he could handle the outfield. In just 100 at-bats, Luzinski hit .300, and he registered his first 3 career homeruns. With his powerful build, he was given the nickname “The Bull”, and his homeruns became more frequent and impressive in 1972. These powerful blasts were becoming known as “Bull Blasts” to writers, broadcasters, and fans. He hit .281 with 18 homers and 68 rbi in that first full MLB season as he made a permanent move to left field. 1973 would be the true coming-out party for The Bull. He hit .285 with 29 homers and 97 rbi. He was joined that year by a new regular at 3rd base for the Phillies, as 23-year old Mike Schmidt hit 18 homers in his own first full season. The two young sluggers would now become a powerful combination in the Phillies lineups for the rest of the decade. In both the ’72 and ’73 seasons, Luzinski had put on impressive performances down in Clearwater, Florida for spring training. But both seasons, late spring injuries had actually hindered him and held his regular season numbers down. In 1974, that bad luck run got worse. Off to a slow start already, Luzinski tore the ligaments in his right knee on June 1st of that 1974 season. He would miss 3 full months, and the injury sapped him of much of his power. He hit just 7 homers and knocked in only 48 runs, both of which would prove to be career-low figures. Perhaps worse yet, the Phillies were beginning to contend as a team. They finished just 8 games out of first place in that ’74 season, with Schmidt breaking out as an NL All-Star, hitting 36 homers and driving in 116 runs. Dave Cash had come over from the Pirates, becoming an All-Star himself and inspiring the Phillies to believe in themselves with the motto “Yes We Can!” Could the Phils, with a healthy Luzinski, have made a run at the NL East crown in 1974? Hopes were high as the 1975 season rolled around. The Phillies were clearly an emerging threat to the perennial NL East pace setters, the Pittsburgh Pirates and Saint Louis Cardinals. Luzinski came back with a vengeance. He not only stayed healthy, he dominated, hitting .300 with 34 homers and 120 rbi. The performance earned him his first NL All-Star nod, and he finished 2nd in the National League Most Valuable Player Award balloting to the more charismatic LA Dodgers young 1st baseman Steve Garvey. Schmidt had 38 homers and 95 rbi himself. Cash hit .305 and scored 111 runs. Still, despite the obvious improvements, the Phils finished in 2nd place in the NL East, 6 1/2 games behind the Pirates. It would be the following season where the team would finally kick in the door, win the division, and establish itself as longterm favorites. The 1976 and 1977 Phillies teams each won 101 games in the regular season, establishing a franchise record that would last for 3 1/2 decades, and the 1978 club won a 3rd straight NL East crown. Bull did his part: 1976 – .304/21HR/95RBI, 1977 – .309/39HR/130RBI, 1978 – 35HR/101RBI. He was an NL All-Star each season, and again was NL MVP runner-up in 1977. Luzinski had established himself as not only one of the game’s great sluggers, but one of it’s best hitters, period. He was a perennial All-Star. And his team was a perennial contender. But still, something was missing. Each year, the Phillies fell short, losing in the postseason. In ’76 it was acceptable. The Phils were first-time playoff participants, and they lost to the defending World Series champion Cincinnati Reds during the ‘Big Red Machine’ heyday. The losses in both the 1977 and 78 playoffs were a bit harder to swallow, however. 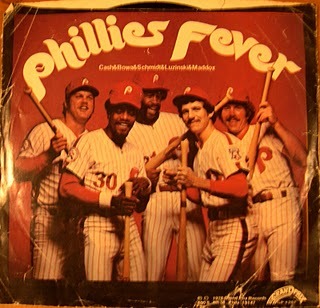 Particularly in 1977, when the Phils had the best record in the National League, were tied with the Dodgers at 1-1 in the NLCS, and had a 5-3 lead with 2 outs and nobody on for LA in the 9th inning of Game 3. The Phillies were just a step away from a 2-1 lead in the series, which would put them a win away from reaching the World Series, with ace Steve Carlton scheduled for Game 4. One more out. Luzinski was in left field. This was unusual, because in such situations, manager Danny Ozark frequently used Jerry Martin as a defensive replacement for The Bull. But for some reason, not this time. Phils’ closer Gene Garber got those first two outs, and got ahead of Dodgers pinch-hitter Vic Davalillo 0-2. Just one strike away from victory, the unspeakable began to happen. Davalillo surprised the Phils defense with a 2-strike drag bunt single. Another pinch-hitter, Manny Mota, stepped to the plate. Again, Garber got ahead of the hitter 0-2. This time, Mota sent a fly ball to deep left field. It is a ball that Martin likely would have tracked down fairly easily for the 3rd and final out. But Martin wasn’t out there, Luzinski was. He tracked back towards the left field wall at The Vet, reached up, and momentarily appeared to have it. But he didn’t have it. The ball clanked off his glove, hit the wall, and bounced back to him. Luzinski fired wildly towards the infield, trying to nail Mota at 2nd base, but his throw skipped past 2nd baseman Ted Sizemore allowing Davalillo to score and sending Mota to 3rd as the tying run. Davey Lopes then followed with another crazy play. His hot-shot careened off Schmidt’s leg at 3rd base and redirected to shortstop Larry Bowa, who gunned a throw that appeared to reach 1st baseman Richie Hebner’s glove for the final out just before Lopes hit the 1st base bag. But umpire Bruce Froemming called Lopes safe, and Mota scored the tying run. And still, it didn’t end. Garber tried to pick the speedy Lopes off, and threw the ball past Hebner. Lopes moved up to 2nd base on the error. When shortstop Bill Russell followed with a single, Lopes scored, and incredibly the Dodgers, one strike away from defeat twice with weak-hitting pinch-hitters at the plate, were ahead 6-5. The Phils went down without as much as a whimper in the their half of the 9th. The defeat, snatched from the jaws of victory, has forever become known as “Black Friday” in Phillies lore. The following day, Carlton was bested in the rain by Tommy John. Yes, that Tommy John, of surgery fame. The Dodgers 4-1 victory put them into the World Series, and left the Phillies shell-shocked in defeat. Los Angeles would do it again in 1978, dumping the Phils in the NLCS. In 1979, the Phils signed star free agent 1st baseman Pete Rose away from the Big Red Machine to help get them over the playoff hump. The addition of “Charlie Hustle” to the team didn’t help, as the club let an early fast start deteriorate into a horrid 4th place finish, 14 games behind the Pirates. In that disappointing 1979 season, Luzinski had slumped to a .252 average with 18 homers and 81 rbi. In 1980, things didn’t go much better. He slumped further to a .228 average, with 19 homers and just 56 rbi. His decreased offensive production combined with his defensive shortcomings, and with the emergence of speedy, exciting rookie Lonnie Smith, to reduce The Bull’s overall playing time. But in that 1980 season, the team under new manager Dallas Green was able to fight its way to the NL East crown and a return to the playoffs. They engaged in perhaps the greatest NLCS in history, coming from behind to edge the Houston Astros 3-2 in games. A titanic “Bull Blast” homer from Luzinski helped put the Phillies in front in the opener. And then finally, in six games against the Kansas City Royals, the Phillies and The Bull won the World Series. It was the first championship in the 128-season history of the franchise. The World Series victory would prove to be the final official appearance of The Bull in a Phillies uniform under competitive circumstances. At the end of spring training prior to the 1981 season, Luzinski was sold to the Chicago White Sox. Now in the American League, free from having to play defense regularly, The Bull returned to being an offensive force. With Chicago he became one of the top DH’s in the game, hitting 84 homers and driving in 317 runs over 4 final seasons. Following the 1984 season, Luzinski officially retired. He would take a job as the combined baseball/football coach at a New Jersey high school for a few years, and showed up at Phillies old-timer’s and reunion events. 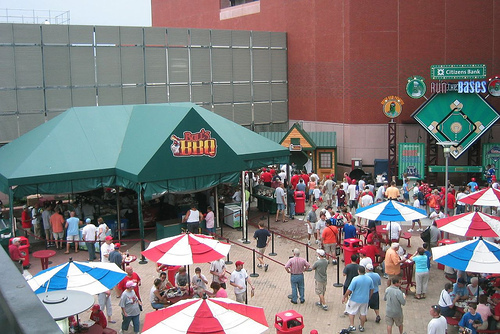 When the Phillies moved out of The Vet and into their new home at Citizens Bank Park for 2004, one of the food attractions was named for him, with Luzinski as part owner. “Bull’s BBQ” remains a fan favorite to this day, and most home games The Bull himself can be found there, meeting and greeting fans, signing autographs, and posing for pictures. Greg Luzinski finished up his MLB career with 307 homeruns and 1,128 rbi across parts of 15 seasons. 223 of those longballs were hit in a Phillies uniform, leaving him currently 7th all-time on the club Homeruns ranking. He is 12th in RBI, tied for 14th in Doubles, 21st in Games played, and 21st in Hits. In 1989, Luzinski received the honor of being inducted into the National Polish-American Sports Hall of Fame, and in 1998 was honored with a place on the Phillies Wall of Fame.